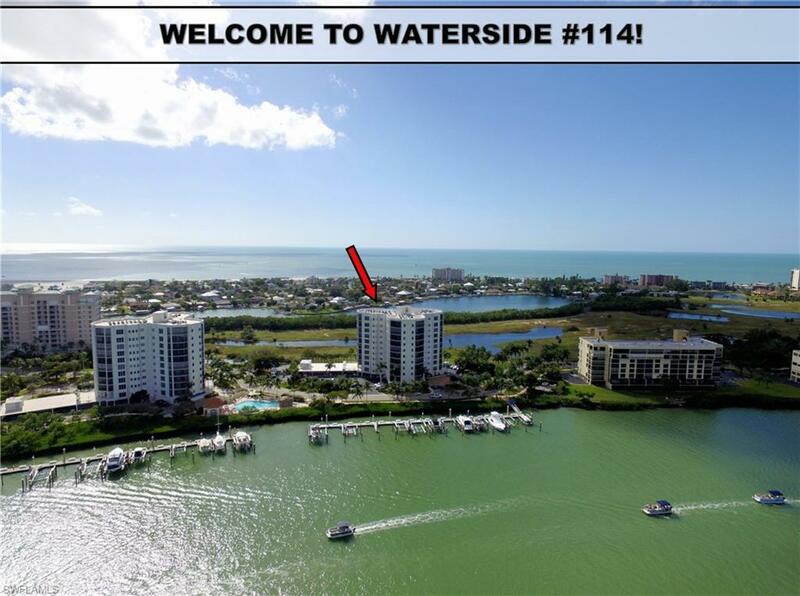 LOWEST PRICED 3BD/2BTH AT WATERSIDE WITH A BAY VIEW TOO! !Â A very spacious CORNER luxury Elevated level residence with 11' ft. ceilings and an Extended Terrace with Water and Sunset Views!!! Fully Turnkey Furnished just bring your suitcase and Move-in, Vacation In, or rent it out!Â CoveredÂ Assigned Parking Space and 2 Storage rooms complete this Luxury package in the Only 24h Gate Attended Community on the Island! Tiled Flooring in the Living Area Keeps everything Cool and Clean feeling, Custom Painted Interior Walls and a View from Every Window! The Resort-Style Amenities offer Men and Women Saunas/ Fitness and Social Room right in your Building, 2 Guest Suites as well for your Extra Guests, Â and the Pool and Spa have a Romantic Waterfall too! TheÂ tennis courts are Lit for cool Night play, and a Deeded fishing pier, and Beach Access with NOW Available Beach Parking for Bay Beach owners! AND THE BEST: WALK TO THE WHITE SAND BEACH on the South End of our Beautiful Island, Walk to Shopping, Restaurants, Marina, andÂ BOAT SLIPS ARE AVAILABLE FOR PURCHASE JUST DOWNSTAIRS! !